I think Frontline spray is the best flea killer for dogs.I always use this product for my cute dog. I have always used advantage on my two dogs (except one time when I used frontline and it didn’t work at all) and it has always worked wonders. I never had to treat my house or anything. Then all of a sudden it quit working. I tried it two months in a row and it didn’t work. This last month I tried a new medicine that I got from my local feed store. I can’t remember what its called, but its supposed to have the flea killer of one medicine and the egg killer of another. It has not worked either. Now my dogs are totally infested and I don’t know what to do. I have wood floors which I vacuum 3 times a week. I also vacuum my couch as often. I don’t know what to do. Is it safe to administer Comfortis (spinosad) after having sprayed with Hartz flea spray(tetraclorvinphps)? I have recently heard that salt is effective against fleas. Sprinkle on the dog, sprinkle on the carpet. Is this a myth? I would wait 1-2 weeks and then proceed with the comfortis. Dont want to give too many pesticides too close to one another. Try oral capstar and program. Also product called flea buster for home could be helpful as well which you can find on line. Exterminator though sometimes needed. Consider oral comfortis as well which often quickly kills adult fleas. Someone who brought there dog brought fleas to our house. I have ordered premise spray and I used Adams flea treatment on my dog as I was out of advantage. This was on the 12th of August. She stll has fleas. How long should I wait before applying advantage flea drops on my dog which ALWAYS works. I would wait until August 26 before applying. Also can consider oral comfortis and/or oral capstar and program from 1800petmeds. My vet informed me that Comfortis or it’s combination product for fleas and heartworms would take care of the fleas on my cocker spaniels where others failed. Seems the fleas in this local area in Florida have become somewhat immune to Frontline and Advantage products. Tried Comfortis and fleas were GONE! I couldn’t believe how fast and how well it worked. Use Cofortis on my old girl and Trifortis on my younger male and female. No more flea issues! Thanks for sharing. As a vet who also practices in Florida, I have seen comfortis and trifexis work in the vast majority of cases. Since Garlic is in the Onion Family it can have toxic affects in dogs if Given to much. Some Dogs are more sensative to it than others, so when starting a garlic supstitute use samll amounts, propaply 1/8 or 1/4 of a teaspoon depending on the size of the dog. Also It should not be given more than three times a week. This increases the chances of having a negative reaction. I use minced Garlic in water for both my dogs twice a week and never have had fleas. I also hear that yeast helps with fleas, but I have not tried it becasue I fear my dog could get bloat (which is a reaction to too much yeat). i have two cats and a rabbit and was told that advantage was safe on the rabbit as well as cats. concerned that advantage 11 is different. are the ingredients the same in both products? Ingredients not same in Advantage II. I would call Bayer company and ask them about whether safe to use in rabbits. Thanks for sharing. I would also refer you to great book dr. Pitcairns guide to natural health for dogs and cats by Richard PItcairn, DVM, phd for great holistic suggestions on flea control and other health tips. I thought Frontline wasn’t working because both my cats and I were itching and we had these little clear bugs that turned brown/black when they fed. I just discovered they weren’t fleas but mites. My cat is a mouser. He brought us some rat mites into the house. Now I’m using Revolution because Frontline doesn’t work on mites. So glad to have finally discovered the truth. I hope this helps someone who is battling fleas. They may not be fleas. Make sure you don’t have rat, mouse or bird mites. You’ll need different medications and different foggers for the house. Dont be too hard on your self. Advantage is an excellent product as are other topicals like front line and oral products like comfortis and program. I have a 2yrs old Havanese. His fur is short and hypo allergenic so it’s really easy to apply flea meds. I take him to a lot of places (dog parks, dog beach, campus) where fleas may be a problem, and he always comes home with a few. Frontline doesn’t work, neither does Advantix, nor did Revolution. I still apply Frontline on him but not much really change. I don’t want to alter his routines just to avoid fleas. Also our house does not have a flea infestation and it had been treated for one just in case in the past. What should I do? I mean a flea med that semi-works is better than not giving him one at all right? Try oral medicine called comfortis or oral capstar and program from 1800petmeds. I used advantix ll on my dog and not only didn’t it work but he had a reaction. He hid under the bed for a couple of days and he seemed to lose his appetite. He’s better now but had chewed himself up pretty bad. I took him to the vet and got medication which is working very well. My vet suggested Comfortis. I am going to try it and hope for the best. I’ve tried the cedarcide and it doesn’t work either. It says not to soak your pet, yet the only way the flea dies is to soak it. 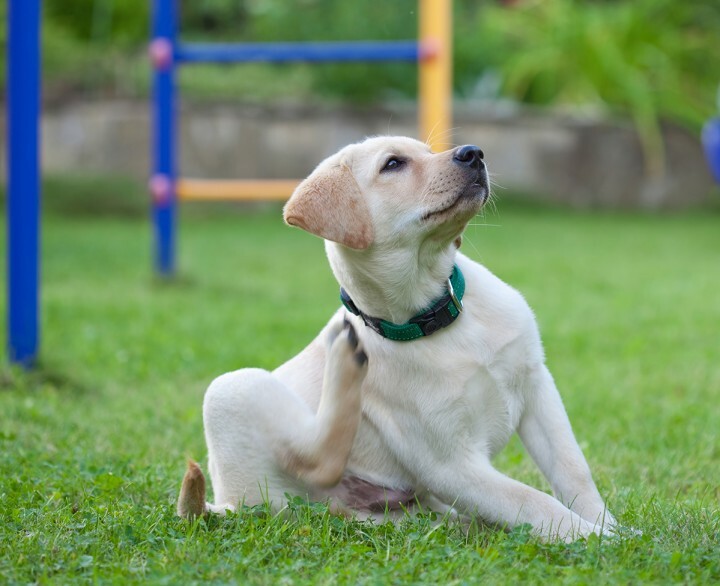 I’ve been combing my pet than spraying the fleas – I’ve also used their spray for the back yard – she is stilling getting them every time she goes where I sprayed. I think it is just a bad year for fleas and not much we can do about it. Two other great natural products to try are diatomatcious earth, which needs to be applied often, as well as Buck Mountain’s flea product. also http://www.wondercide.com a good product as well.